Alma Jane Veldhuizen was born May 19, 1929 to Fred and Corlena (Van Hemert) Rozendaal at the family home on Sandridge north of Pella. She attended the Sandridge Country School until the family moved north of Sully where she graduated eighth grade from Richland Township #8 in 1943. In 1981 at age 52 she completed her GED, a fulfilling accomplishment endorsing her value on education. On February 2, 1950, she was united in marriage with Henry John Veldhuizen at her parent’s home north of Sully. They established their home south of Lynnville on Henry’s grandfather’s farm. Six children, Carolyn, James, Gelene, twins John and Jane, and Alesia were born to this union. Alma Jane was baptized, professed her faith, and was a lifelong member of First Reformed Church of Sully. She lived her calling as a devoted mother and homemaker, committed farm wife, and active church and community member. She added to the family income by working at the Coffee Cup Cafe, Grinnell Head Start, and cleaning local businesses and homes. Over the course of her life, Alma was a member of multiple organizations, often taking a leadership role. Some of those included King’s Helpers, Faith Circle, Cottage Prayer Meetings, Sewing Circle, Mom’s in Touch, RCA Women, WCTU, American Cancer Society, PTA, Music Boosters, 4-H, Central College Auxiliary, Lynnville Women’s Club, and Freedom Bible Camp. Alma and Henry lived, raised their children, and farmed south of Lynnville until the late seventies when they moved west of Sully. The new neighborhood offered Alma opportunities to lend her helping hand whether it was caring for an elderly neighbor next door or providing childcare. In the late eighties, they lived for a short time in Pella and then Lynnville, before purchasing their home in Sully on 5th Street. Alma and Henry lived active and productive lives in Sully for twenty-five years. In May 2016, they moved to the Pella Manor and in May 2018 transitioned to The Cottages. On Saturday morning, January 26, she told the nurses as she was getting ready for breakfast, she was ‘just not with it’. Within moments, Henry was by her side and her spirit peacefully joined her Lord and Savior in heaven. “Well done, good and faithful servant”, who most certainly was content in all her circumstances. She is also survived by her brother and sister-in-law, Clarence and Linda Rozendaal, sister, Luella Berglund, and sister-in-law, Henrietta Veldhuizen. Alma Jane was preceded in death by her infant daughter, Jane, her son-in-law Norman Klein, sisters-in-law and brothers-in-law Jerry Berglund, Leonard Veldhuizen, Gladys (Veldhuizen) and Marvin Vander Molen, and Geraldine (Veldhuizen) and Arnold Dykhuis. 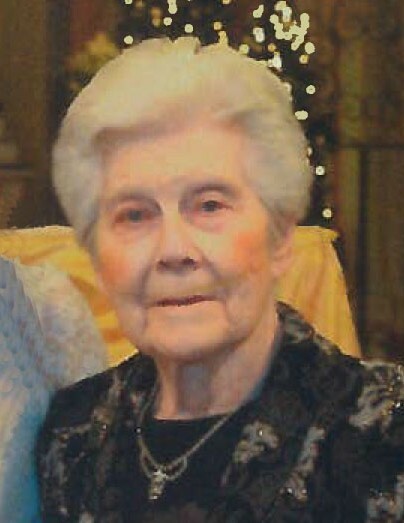 In lieu of flowers, memorial contributions may be designated to Sully First Reformed Church Missions or Lynnville Women’s Club High School Senior Scholarships.